How do you say “You can’t have your cake and eat it” in French? The UK’s Brexit negotiating team will soon find out, thanks to free access to Ilini. Like many of you, we are following Brexit talks very closely. As a non-political website, we can only wish the UK and the EU to establish a relationship that works for all. But as a French language-learning website, one thing strikes us: the underestimated importance of cross-language communication in Brexit negotiations. This is all the more important now that the talks are moving to their second phase, which is about building a new relationship. We may be a little biased, but we believe that a good command of real-life French – the kind of French one can learn on ilini.com – would help British negotiators set a positive atmosphere with Michel Barnier and his collègues of the EU’s negotiating team. To make our point and convince the UK’s Brexit negotiating team, we have decided to offer them free access to Ilini Premium. This is our way to contribute to a better understanding between London and Bruxelles! Ilini allows French learners to improve their mastery of Molière’s language by watching news and entertainment videos. We provide interactive learning tools, including smart subtitles, quizzes, transcripts and listening exercises, and offer an easy way to learn non-textbook French while diving into francophone life. 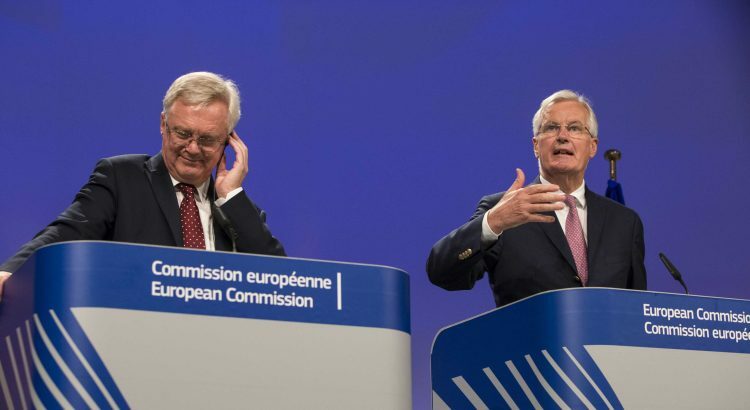 British negotiators will thus be able to watch Barnier‘s or Macron‘s speeches in their own words, or to relax from notoriously late-night negotiations with popular French music and comedy. At Ilini, we always emphasise the importance of “feeling the culture” when learning a language. That requirement certainly applies to diplomacy. We have sent our free offer to the Department for Exiting the EU, which employs over 380 staff, and to the British embassy in Brussels. Staff and diplomats can claim the offer until Brexit day, on March 29, 2019. With this gesture, we hope to make a small, yet positive contribution to Brexit negotiations – at no additional cost for British taxpayers. Culture – Where is French spoken?